Please see the membership page for more information and to get an application form. Please mail your application form and your check if that is your payment type to the address indicated and DO NOT email it to OTAH at this time. If you are choosing PayPal to pay, please wait for us to invoice you for it. 2. How do I send payment for my membership if I select PayPal? If you choose to select PayPal as your payment type for your membership, please wait for us to invoice you first. Do not send any payments directly to OTAH or email addresses on the forms. If you do misdirect your payment, we are unable to correct your mistake on our end and it is your responsibility to initiate a dispute. We take no responsibility for misdirected payments sent to any other PayPal accounts. 3. I want to work in Hawaii. Can you tell me about the licensing details to become an OTR or COTA in Hawaii? 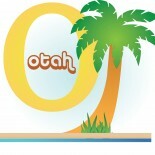 OTAH is an professional membership organization and we do not have any details on licensing. We recommend that you contact the Department of Commerce and Consumer Affairs to get an idea of the details. 4. Can you help me find volunteer opportunities in occupational therapy? As a professional membership organization, OTAH does not provide volunteer opportunities. Please contact the various hospitals, clinics, nursing homes, rehab facilities, and school based clinics directly to learn about their volunteering programs. We do not give referrals or provide placements for volunteers. 5. I’m an OTS/OTAS looking for fieldwork opportunities. Can OTAH help with finding me placement? OTAH does not provide opportunities for fieldwork placements. You must go directly to the possible sites directly to find those opportunities. We do not give referrals on these placements and do not provide those services.